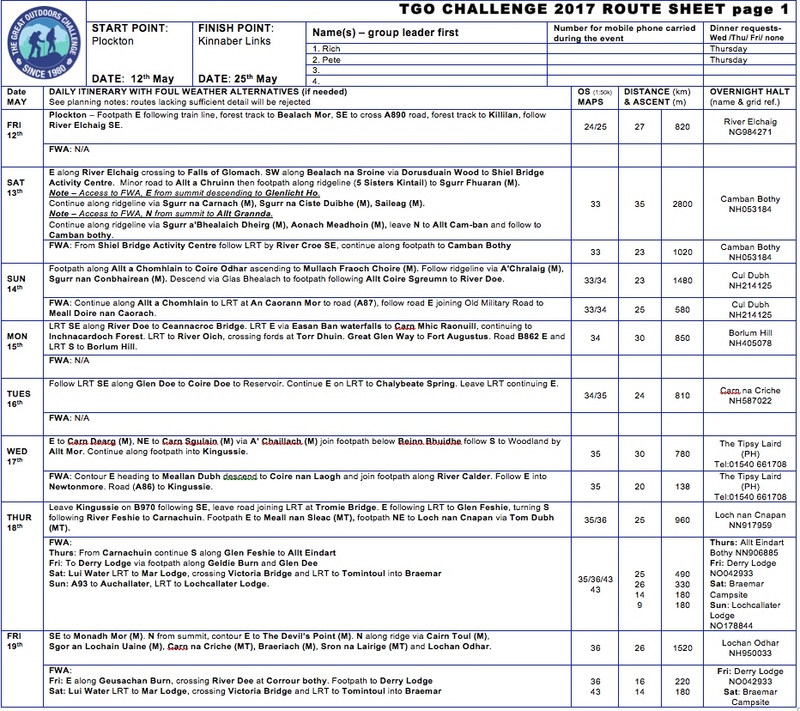 OK a brief update, so the route card has been submitted to the TGO for vetting. The route starts at Plockton on the 12th May and passes through Fort Augustus, Kingussie, the Cairngorms and into Braemar. It then heads south to Lochcallater, Glen Cova, East to Tarfside and then to Montrose via North Water Bridge. 21 Munros, 15 Subsidiary Tops and 11 Corbett/Tops, over 360km with 14,000m of ascent. 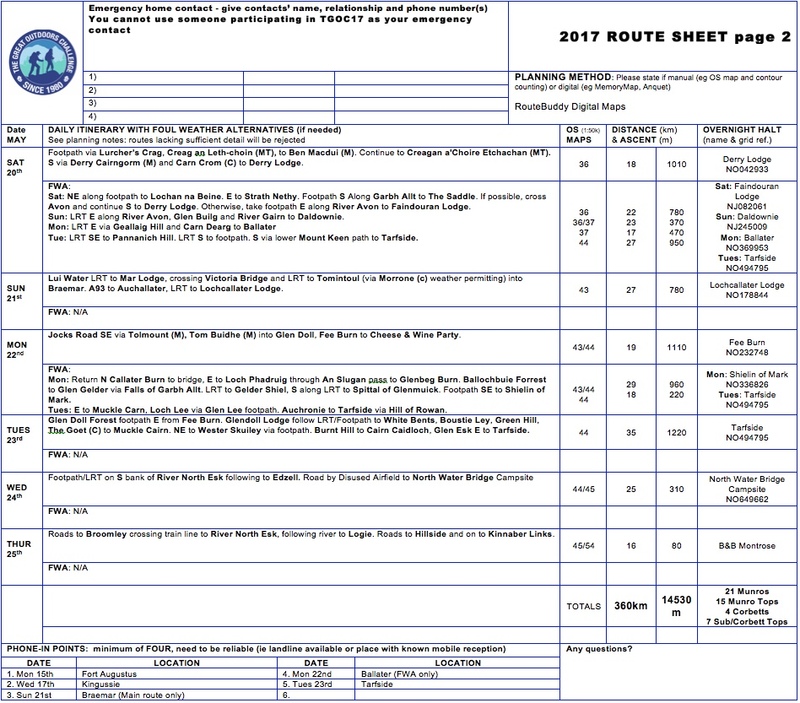 Vetters comments and final route to follow shortly….